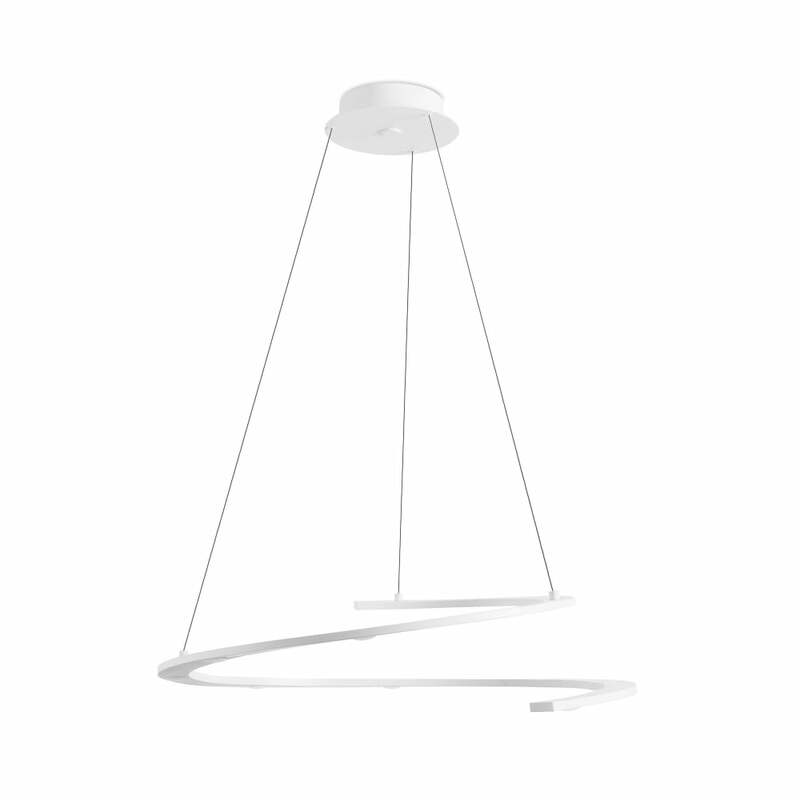 A contemporary and decorative piece of lighting featuring a spiralling shaped matte white fitting which houses 8 LED modules, the LED's use a total of 24 watts and give the equivalent of about 1296 lumens. It is also dimmable for control over the level of light output. Suspended on a cable suspension this pendant would be great for lighting over a dining room table in a modern setting.